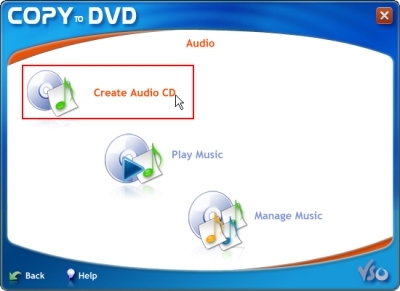 How to make an audio CD compatible with any CD player? 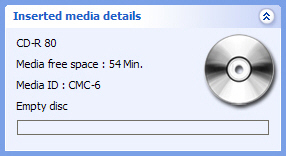 After opening the application, Icon on desktop or go to Start | All Programs | vso | CopyToDVD,click on Audio (figure 1). 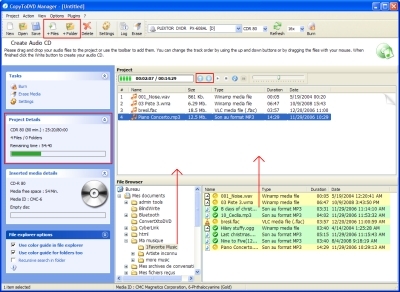 Select Create Audio CD (figure 2). Notice how big your project is and how much space is left or over passed by looking under project details on the left the CopyToDVD manager. To burn your project press the burn button show in figure 6. It is recommended to reduce the burning speed to 4x or 6x as this will reduce the margin for errors and also increase the readability of the disk for picky players. If you have multiple CD/DVD drives or you the burning action does not begin, you may need to select the correct drive in the drive list show in figure 6 (in the example we see a PLEXTOR drive selected). Pourquoi choisir un logiciel VSO ? Traduit en Français par l'équipe VSO - Voulez-vous nous aider ?